Dreamforce 2018 is around the corner and we are looking forward to an amazing week of inspiration and fun with you. 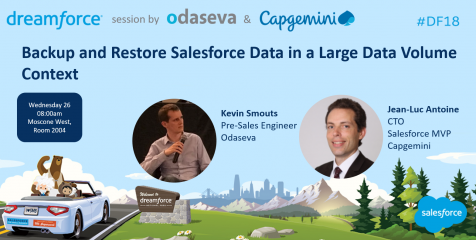 This year, the Odaseva team has worked hard to bring an exclusive content to Dreamforce with lots of breakout and theater sessions, demos at our booths, and 1:1 sessions at our lounge. 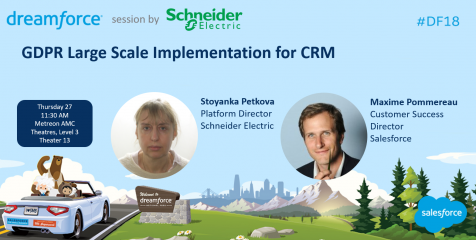 Book a meeting with us at Dreamforce. 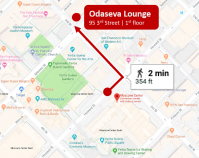 We’ll answer all your questions and give you an in-depth demonstration of how Odaseva can help you on your journey to GDPR compliance and data protection. 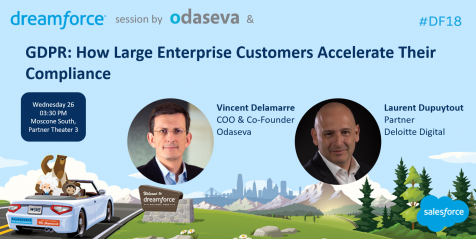 This year again, the Odaseva team will be speaking at Dreamforce on breakout and theater sessions. 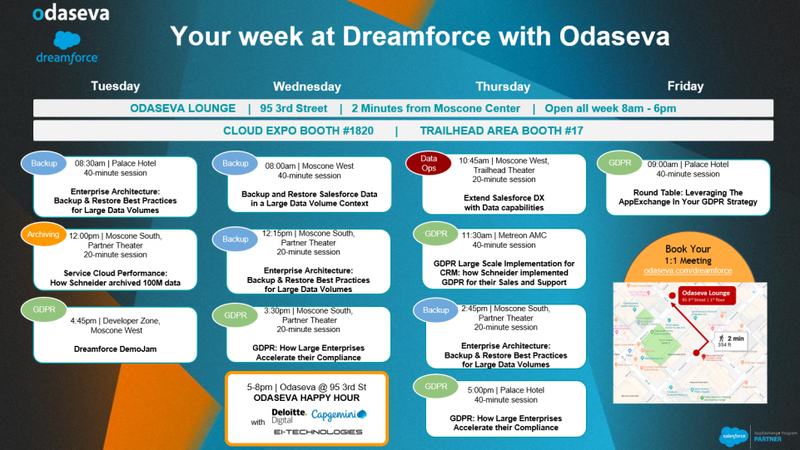 Here is our Odaseva Agenda Builder to help you deep dive into the GDPR, Backup sessions, demo jams and more! * Information collected with this form are safely stored by Odaseva. Information will be stored for a period of 3 years and will be used only by our sales and marketing department to answer your request and share with you products, solutions, and company news. We will never share these data to any other organizations. You may at any time request that we grant you access, correct or delete all personal data we store about you, ask us to restrict the processing of your personal data, exercise your right to data portability, and object to the processing of your personal data for the purpose of direct marketing ([email protected]). You have the right to lodge a complaint with the relevant supervisory authority.